Football is the leading cause of school sports injuries. 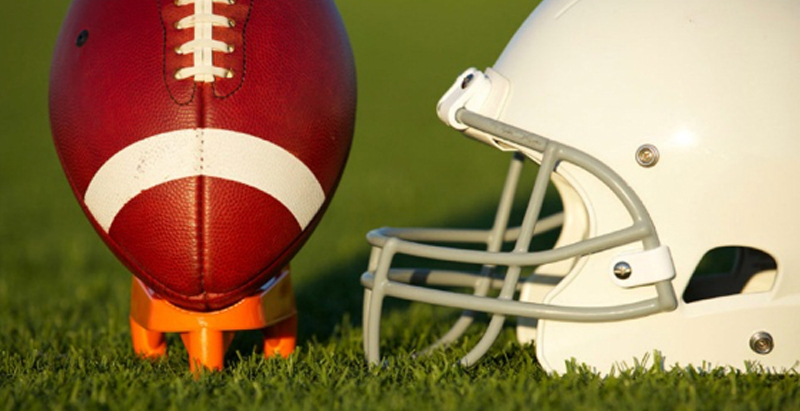 According to the U.S. Consumer Product Safety Commission, in 2012, approximately 466,492 people were treated for football-related injuries in hospital emergency rooms. How do we go about preventing football related injuries? Through maintaining fitness, pre-season physicals, warm up and stretching, cool down and stretching, and HYDRATION! We also want to ensure proper equipment. Protective equipment is one of the most important factors in reducing the risk of injury in football. We also want to prepare for injuries and emergencies. Coaches should be knowledgeable about first aid and be able to administer it for minor injuries, such as facial cuts, bruises, or minor strains and sprains. When is it safe to return to play? An injured player’s symptoms must be completely gone before returning to play. For example: In case of a joint problem, the player must have no pain, no swelling, full range of motion, and normal strength. In case of concussion, the player must have no symptoms at rest or with exercise and should be cleared by the appropriate medical provider. Both the American Academy of Pediatrics and the American Academy of Neurology have established guidelines recommending that athletes with concussions be evaluated and cleared by a doctor trained in managing concussions before returning to sports.